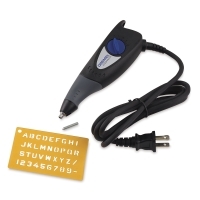 For permanently marking on any material- glass, steel, aluminum, brass, copper, plastic, pewter. With solid carbide engraving point, in plastic case. Lightweight Nylon housing, powerful motor. 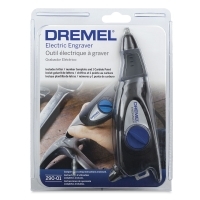 ® Dremel is a registered trademark.